New York streets and highways are extremely congested and motor vehicle accidents happen all the time. If you have been injured as a driver or passenger in a motor vehicle accident, contact The Law Office of Robert Dunne, LLC immediately for help. Yellow cab or livery cab accidents. Do not assume that a motor vehiclen accident or injury is your fault and never be afraid to seek help. Call lawyer Robert Dunne for a free consultation at 212-551-1750 or contact me online. As your attorney, Robert Dunne will conduct a thorough investigation of the facts surrounding your accident including review of police reports, taking witness statements, viewing surveillance tapes and retrieving all relevant medical records. 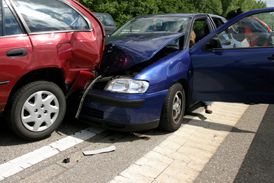 It is also important to investigate the scene of the accident and examine the vehicles involved in the accident. You can rely on attorney Dunne to handle your case while you take time to heal and get back on your feet. Contact The Law Office of Robert Dunne today for a free consultation. The Law Office of Robert Dunne, LLC in NYC provides legal services for people in New York City, White Plains, The Bronx, Brooklyn, Manhattan, Queens and Staten Island and the counties of Westchester County, Nassau County, Kings County, New York County, Queens County and Richmond County.